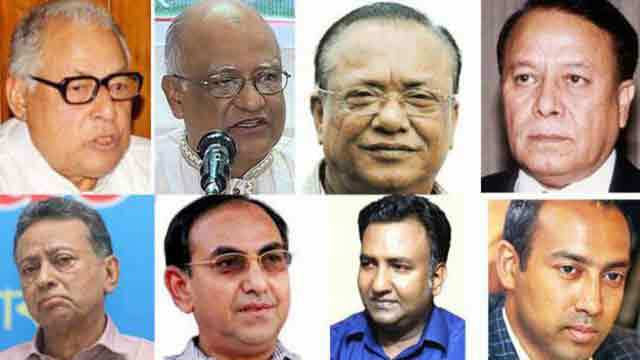 Dhaka, Apr 2 (Just News): The Anti-Corruption Commission (ACC) has launched an inquiry against nine senior leaders of the BNP. The BNP leaders are: Standing Committee Members Khandakar Mosharraf Hossain, Mirza Abbas, Nazrul Islam Khan and Amir Khosru Mahmud Chowdhury, its vice chairmen Abdul Awal Mintoo and Morshed Khan and his son Foysal Morshed, executive committee member Tabith Awal and joint secretary general Habib-un-Nabi Khan Sohel. ACC launched the inquiry into allegations of money laundering and amassing illegal wealth against the nine senior leaders. ACC Director (Inquiry and investigation) Kazi Safikul Alam confirmed the development. He added, Dhaka Bank’s Managing Director Syed Mahbubur Rahman is also being inquired over the same charge. After the conviction of BNP Chairperson Begum Khaleda Zia, this is the first move of ACC against a number of top BNP leaders. ACC yesterday appointed inquiry officer deputy director Shamsul Alam to look into the matter. “I’m scanning the allegations. It’s too early to make any comment,” Alamsaid. BNP leader Khondakar Mosharraf Hossain said the ACC has launched the investigation based on reports published in some so called online news portals. He added, the probe has been launched for political reasons. Abdul Awal Mintoo termed the ACC's act as baseless and said it is an effort to tarnish his political image.